“Cultural importance” is a difficult quality to measure. Some cities are important for their contributions to art, architecture, or political theory. Others are important for their effect on the imagination or their place in literature. In some cases, cities had an enormous influence on their region for a time, but this influence is no longer felt today. After taking all of these factors into account, the following ten cities stand out as the most important cultural capitals of the ancient world. Cuzco, now a city in Peru, was once the capital of the Inca Empire, which reached its apex during the 15th century. Using Cuzco as a base, the Inca conquered territory all the way from Quito to Santiago—making their empire the largest in the world at the time. A mere 40,000 people came to control around ten million subjects, a form of overextension that the Spanish Conquistadors would later use to their advantage. 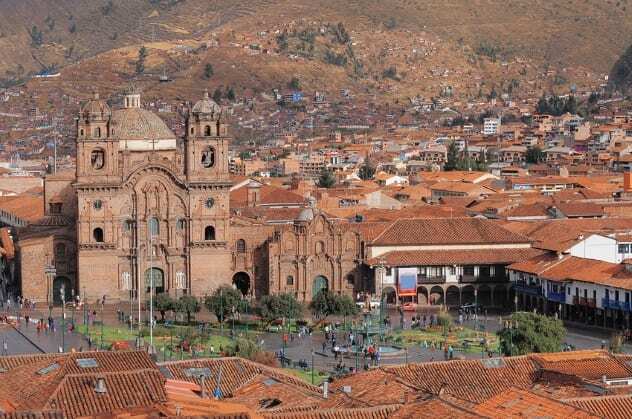 Cuzco itself is one of the oldest cities in the Western Hemisphere. Its most impressive remnant is the fortress of Sacsahuaman: It contains stones that weigh as much as 300 tons, and it took 20,000 laborers around 80 years to complete. Cuzco was brought to its knees by European diseases such as smallpox (which killed 65–90 percent of the population) before the Europeans themselves even arrived. A stately pleasure-dome decree . . . So begin the immortal lines by Coleridge, composed, like all good things, in the midst of an opium-fueled dream. But when we strip Xanadu from its romantic allure, what are we left with? Shangdu, China. Kublai Khan, grandson of Genghis, made Shangdu his capital toward the end of the 13th century. Coleridge’s poem, and Marco Polo’s lengthy description of the city after visiting in 1275, made it a byword for opulence. This probably gives us an exaggerated sense of its historical importance. Kublai Khan soon moved his capital to Zhongdu, though for a time, Shangdu remained the summer capital of the Mongol emperors of China. “Xanadu” as a romantic idea nevertheless had a sizeable impact on Western culture. The region around Bukhara, now the modern-day capital of Uzbekistan, has been inhabited for at least 5,000 years, and the city itself has existed for around half that time. It rose to prominence due to its strategic location on the Silk Road, which began to see commerce around 2,000 years ago. Though its history can be traced back to at least 2000 BC, Babylon didn’t become a truly important cultural center until the rule of Nebuchadrezzar II (605–561 BC). At this time, Babylon was the largest city in the world. At the city’s hub was Esagila, a temple complex dedicated to the god Marduk, and Etemenanki, a ziggurat that probably inspired the Biblical story of The Tower of Babel. The Hanging Gardens of Babylon were considered to be one of the seven wonders of the world (though some recent research actually places the gardens at nearby Niniveh). The city remained important under the Persians and had a brief revival under Alexander the Great, who made it a center of learning and commerce in his short-lived empire. 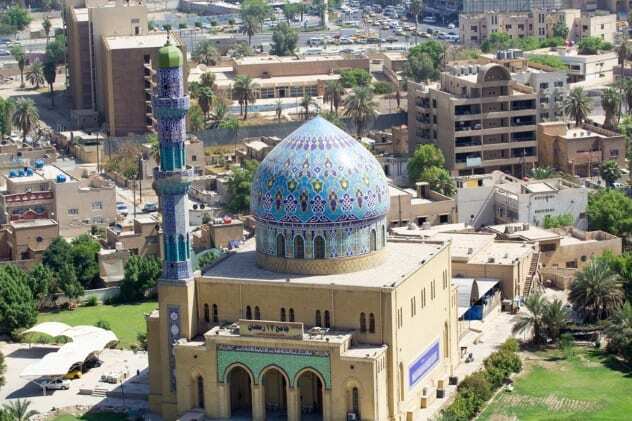 Baghdad did not become a major city until AD 762 , when the ‘Abbasid caliph al-Mansur made it his capital. The ‘Abbasids controlled a vast empire that stretched from modern-day Morocco in the west to Afghanistan in the east, and Baghdad quickly became the richest city in the world. Had it not been for Baghdad, it’s possible that the link between the ancient world and the present day would be much more tenuous. 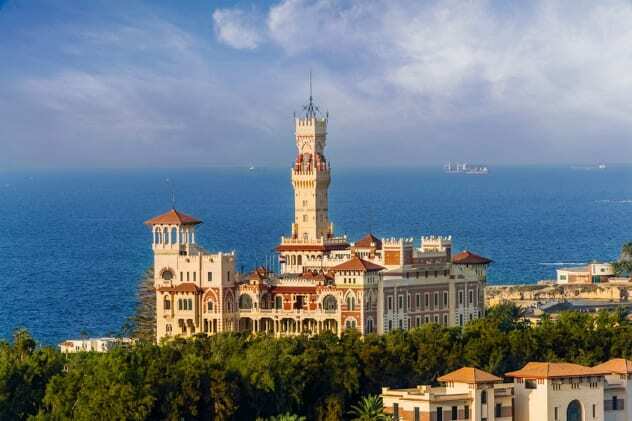 Founded at the Nile Delta by Alexander the Great in 331 BC, Alexandria was also the largest city in the world for a time. The city’s enormous lighthouse, the Pharos of Alexandria, was more than 110 meters (360 ft) high and remained standing as recently as the 12th century. The Mouseion, which housed the famous Library of Alexandria, was frequented by some of the greatest scholars of the age. Among them were Euclid (the father of geometry), Ptolemy (the famous geographer), Plotinus (the philosopher), and Archimedes, the man known for screaming, “Eureka!” (which he probably didn’t). After the decline of the Western Roman Empire, many ancient texts were preserved in Alexandria before their translation into Arabic. In this bleak period between Rome’s decline and Islam’s rise, Alexandria was an island of reason in a sea of fanaticism. Incidentally, it was in Alexandria that the Septuagint, the translation of the Old Testament from Hebrew to Greek, was produced. This list would hardly be complete without Rome, which was undeniably a huge part of Western cultural development. We all know the story of the energetic Republic, its conquest of Europe, and its gradual sink into decadence under a series of (mostly) terrible emperors. Hardly a branch of knowledge exists that hasn’t felt the influence of Roman thinkers. Art, architecture, law, politics, language—none of these would be the same if, say, Hannibal had sowed Latium with salt. Athens was just as important as Rome, but it deserves a higher place on this list because many of Rome’s achievements depended on what the Romans learned from the Athenians. Athens’s influence on Western art and philosophy is unrivaled by any other city. Had you been born to an aristocratic Athenian family in 480 BC, you would have spent your teenage years watching the plays of Aeschylus, performed by the “father of tragedy” himself. In adulthood, you would have met the younger playwrights Sophocles and Euripides. Aristophanes the comedian as well as the historians Herodotus and Thucydides would have attended your drinking parties. Socrates would have pestered you in the marketplace. The entire career of Pericles, the great general just 15 years your senior, would have played out before you. Finally, in your old age, you would have seen Athens defeated by Sparta and its allies and Socrates put to death by his fellow citizens. In a single lifetime, you would have witnessed the entire golden age of the city and the development of Western civilization as we know it. 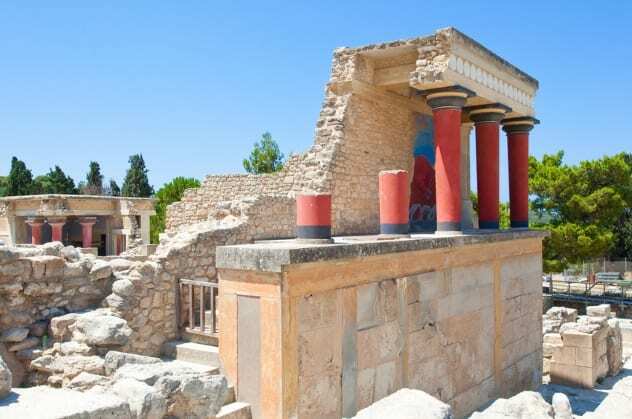 Knossos was also the location of several important milestones in the history of writing. Linear A (a writing system) was invented by the Minoans. The Mycenaeans, who later invaded Crete, adapted this mode of writing into Linear B, the earliest attested form of Ancient Greek. This may be a controversial choice for the number one slot, but who can deny the influence of Varanasi on the cultural and religious history of Asia? One of the oldest continuously inhabited cities in the world (dating from at least 2,000 BC), Varanasi is the religious capital of Hinduism. It is also one of the most important sites for Buddhists: Gautama Buddha is said to have given his first ever sermon in the vicinity of the city. Jains consider Varanasi to be a pilgrimage site, and the city also played an important role in the development of Sikhism. Varanasi’s cultural influence continues to this day. Many Hindus choose to die here, in the belief that meeting their end on the banks of the Ganges will free them from the cycle of rebirth. Varanasi also remains important as a center of art and music. Michel Fermor is an explorer, mountaineer, and history addict.